Type in 'XERO - Timesheets Register' on the search bar located on the upper right corner of your portal. From your navigation bar, go to Management > Integration > XERO > Timesheets > Register. 3. Prior to integration, you must first setup your Employees' Payroll Calendar on XERO. 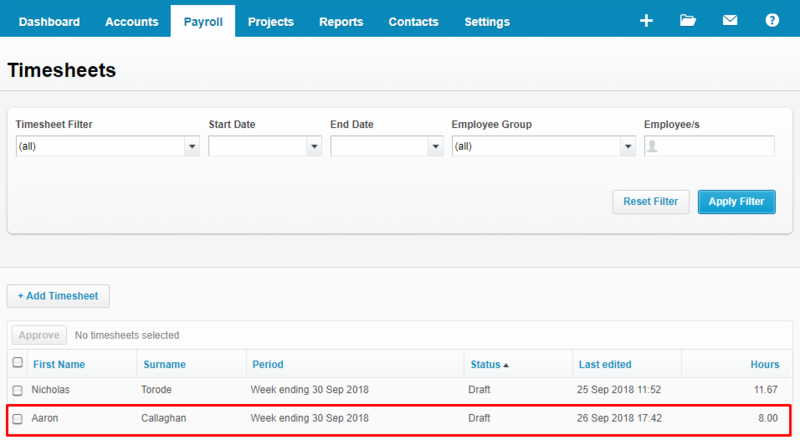 Click here for more details on how to setup your Payroll Calendar. 4. 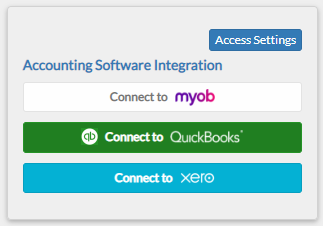 Another prerequisite of Timesheets integration is to integrate your Employees from SB to XERO. Click here for more details on how to integrate contacts. 5. Input Employee Name then Select Week Period. Note: Only the Reconciled Employees will appear on the suggestions. 6. Click Submit to view the timesheet records of the employee within the week period selected. 7. Tick the checkbox of the record you want to transfer to Xero. 8. Select from the Earnings Rate options. 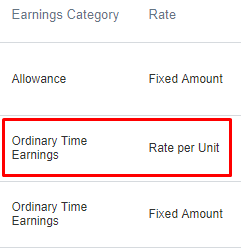 Note: The Earnings Rate drop down menu contains your Xero Pay Items with an earning rate of Ordinary Time Earnings and a rate of Rate per Hour only. 10. Go to Xero > Payroll > Timesheets. Your integrated submissions will be displayed and will now be ready to use for processing the payroll.